Part ten will cover the twenty-third song of the musical, and the last song of Act I: “Non-Stop.” This song puts on display Hamilton not throwing away his shot versus Burr waiting for the right moment. This song is also jam-packed with historical references. At the opening of the song, Burr sings, “I finished up my studies and I practiced law,” and Hamilton responds, “I practiced law, Burr worked next door.” The competition between the two begins in earnest now that the war is over. In reality, Chernow wrote, “Sometimes they worked on the same team, more often on opposing sides. Hamilton did not drag political feuds into dinner parties and drawing rooms, and so he mingled with Burr cordially.” Burr then sings, “Even though we started at the very same time, Alexander Hamilton began to climb….” Turning to Chernow again we find two excerpts to give credence to this quote. 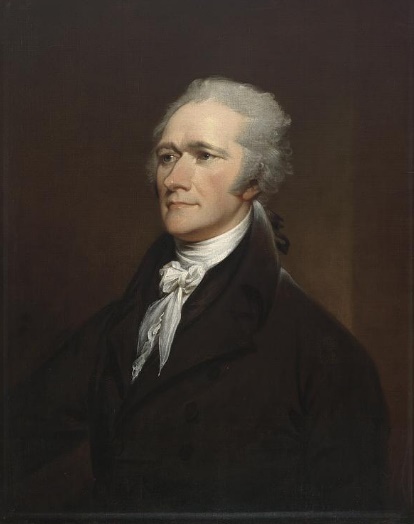 First, reflecting back later in his life, Hamilton said of him and Burr, “We set out in the practice of law at the same time and took opposite political directions. Burr beckoned me to follow him and I advised him to come with me. We could not agree.” In the courtroom, Hamilton apparently had no equal, which partially led to his rise. Judge Ambrose Spencer, “who watched many legal titans pace his courtroom, pronounced Hamilton ‘the greatest man this country ever produced….In power of reasoning, Hamilton was the equal of [Daniel] Webster and more than this could be said of no man. In creative power, Hamilton was infinitely Webster’s superior.’” That’s high praise for Hamilton. Following a “Non-stop!” from the ensemble, we find Hamilton in the court, singing, “Gentlemen of the jury, I’m curious, bear with me, are you aware that we’re making history? This is the first murder trial of our brand-new nation.” First, let’s address the “gentlemen of the jury” part of this. As late as 1942, only twenty-eight states allowed women to serve as jurors. The Civil Rights Act of 1957 granted the right for women to serve on federal juries, but it wasn’t until 1973 that all fifty states allowed women that right. Women first served on a jury in New York State in September 1937. So Hamilton would only have been talking to men on the jury. As for the first murder trial of our brand new nation, the Levi Weeks case was the first recorded murder trial in the U.S.
And Burr sings, “Our client Levi Weeks is innocent.” Both Burr and Hamilton (along with Henry Brockholst Livingston) did defend Weeks, who was accused of murdering Gulielma Sands, a young woman whom he had been seeing (and maybe secretly married). The trial took place over two days in early 1800 – March 31st and April 1st. (This throws the musical off the historical timeline, which is necessary for the story-telling aspect.) The State’s case was circumstantial, and the jury deliberated for only five minutes before acquitting Weeks, but the accused was mostly ostracized after the case, and eventually left New York. (The Library of Congress has digitized the trial transcript; it runs about 100 pages long.) It’s interesting to note that in reality, as late as the beginning of 1800, only four years before the fateful duel, Hamilton and Burr still worked together. Some lines later, Burr sings, “Why do you write like you’re running out of time…Every day you fight like you’re running out of time. Keep on fighting. In the meantime –” While Hamilton was constantly writing, during and immediately after the Revolution (and for the rest of his life), Chernow noted that Burr “produced no major papers on policy matters, constitutional issues, or government institutions.” Assuming the rest of this song takes place sometime between the end of the war (1783) and when Washington became President (1789 – because the next song is when Jefferson returns from France, which he did in September of that year), Burr was serving as a member of the State assembly (1784-1785) and the attorney general of New York (1789-1790), so it wasn’t like he bowed out of politics for the time. Chernow also noted that of all of Burr’s known correspondence, much of it consists of simple “gossip, tittle-tattle, hilarious anecdotes, and racy asides about his sexual escapades.” I suppose that’s what he was concerned with, in the meantime, instead of writing or fighting for things he may have found politically important. Next we find “Hamilton at the Constitutional Convention.” The Convention, which took place from May 25th to September 17, 1787, was supposed to revise the Articles of Confederation (which served as the first U.S. constitution). Hamilton and James Madison had other ideas, however, and they came in planning to write a completely new document instead of fixing the old one. Burr sings that Hamilton “Goes and proposes his own form of government! His own plan for a new form of government! Talks for six hours the convention is listless.” A number of plans were introduced at the Congress, the two major plans being Madison’s Virginia Plan, and the New Jersey Plan, introduced by William Paterson. Hamilton did not really like either of those plans, and so he proposed one of his own on June 18th (there are five versions of it). Some of the notes show how enthused the other Congressmen were to hear Hamilton. Besides these notes from other men, Hamilton had only an outline of his speech. In the musical Hamilton next visits Burr at his home one night. Burr asks Hamilton, “What do you need?” Hamilton flatters Burr, complimenting his skills in court – “You’re incredible in court. You’re succinct, persuasive.” Chernow cites William Plumer, a politician, who used similar words in a diary entry of January 22, 1807. Plumer wrote that Hamilton said of Burr, “His arguments at the bar were concise. His address was pleasing, his manners were more – they were fascinating.” Then Hamilton gets to the point – “My client needs a strong defense. You’re the solution.” Burr responds, “Who’s your client?” and Hamilton says, “The new U.S. Constitution.” There is no historical record that Hamilton asked Burr to work on the Federalist Papers. There does exist, however, proof of Hamilton asking other men who declined the invitation. When Hamilton gets frustrated with Burr’s response (“No, no way”) he asks, “Do you support this Constitution?” to which Burr replies, “Of course.” Did Burr support the Constitution? He sided with the anti-Federalists following the acceptance of the document, so probably not. Following the exchange between Burr and Hamilton, Angelica sings, “I am sailing off to London, I’m accompanied by someone who always pays. I have found a wealthy husband.” Angelica and her husband, John Barker Church (who was well-off), eloped in 1777 and had lived in England since 1782. She returned to the U.S. for Washington’s inauguration, but soon went back to England. Burr then returns to explain the writing of the Federalist Papers. These “papers” – a total of 85 essays (yes, John Jay wrote five, Madison wrote twenty-nine, and Hamilton wrote the other fifty-one) – were initially published in the New York newspapers (and then reprinted around the country). They were meant to explain the Constitution and promote its adoption, especially in New York State. Following the adoption of the Constitution, in the musical, Washington sings to Hamilton, “They are asking me to lead.” Hamilton was among those asking Washington to accept the offer of leadership. A number of letters were exchanged between the two men on the subject. Washington obviously accepted the leadership position to which he was elected. Next Washington sings, “I’m doing the best I can to get the people that I need. I’m asking you to be my right-hand man,” and asks Hamilton to be Treasury Secretary. Hamilton was nominated by Washington for that position on September 11, 1789 and approved on the same day. After accepting in the musical, Hamilton says, “Let’s go,” and when Eliza pleads, Hamilton says, “I have to leave.” Being as it was that the U.S. government was based in New York City at the time, Alexander did not have far to go. Library of Congress and Today In Civil Liberties History. NY Courts. There’s also a good article about the trial here. And another article about the well here. The link contains links to Hamilton’s notes for the speech, and notes taken by James Madison, Robert Yates, John Lansing, Jr., and Rufus King while AH delivered the speech. Yates and Lansing were both delegates from New York, along with AH, but both opposed the Constitution, leaving AH as the only signatory from the state. Chernow, 193. Plumer, a lawyer from New Hampshire, served as a member of the state House of Representatives in 1788, 1790-1, and 1979-1800. He was a Federalist in the U.S. Senate from 1802-1807 and Governor of the state from 1812-1813 and again from 1816-1819. In the 1820 Presidential election, Plumer was the only Elector to vote against James Monroe, voting for John Quincy Adams instead. Church, an Englishman, was set up in business in London by his family, but it is said he lost his money on speculation and gambling and escaped those debts by coming to North America. He became an auditor in the army of the Revolution before resigning to open a number of businesses. Between that and currency and land speculation after the war, Church was able to regain a fortune. He eventually returned to England (through Paris) and became a member of Parliament in 1790. He returned to the U.S. for good in 1799 with Angelica. See a touching letter from Alexander to Angelica following her departure here. Something you might find interesting – George Washington’s diary entry for September 17, 1787, the date the Constitution was adopted. If interested, you can read Washington’s first inaugural address here. Hamilton didn’t help to write this address; David Humphreys and James Madison had a hand in it though.